What you can see across the sea varies, depending on where you are stood looking out. 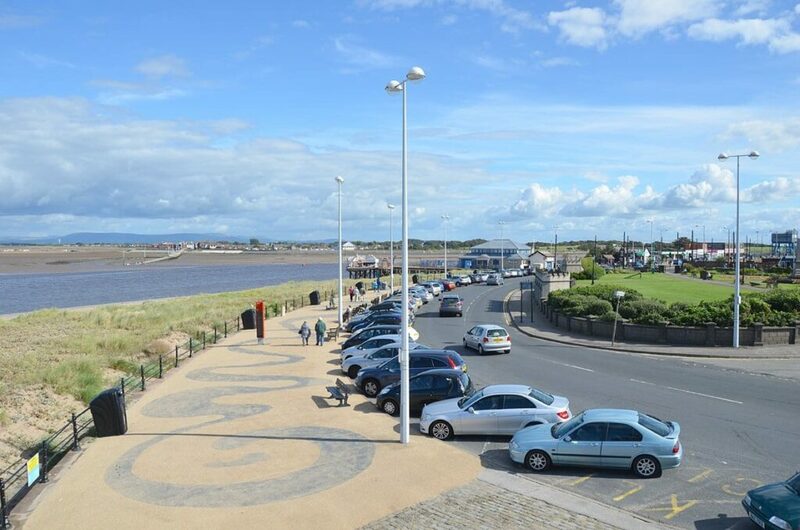 From Fleetwood Museum you’re looking straight over the River Wyre to Knott End golf course. 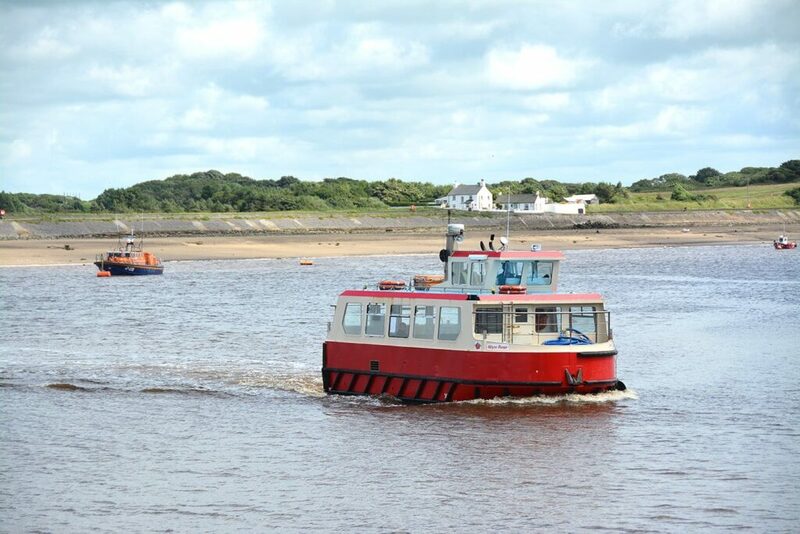 From Ferry Beach at The Esplanade it’s a clear view across the River Wyre to Knott End slipway and RNLI station. 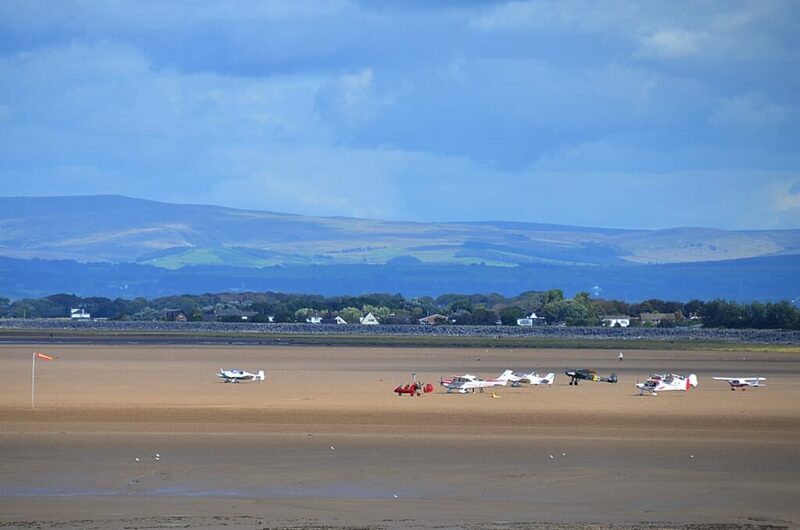 Move further left along The Esplande to the Lower Lighthouse and you’ve got an amazing view across Morecambe Bay of Heysham, Lancaster, the Lakes and Barrow in Furness. The turbines of the offshore windfarm are usually visible too. Of course, all this also depends very much on the weather! The land masses are also quite a long way away too. You’ll get a good view on a clear day with the naked eye, and an even better shot from a good camera! 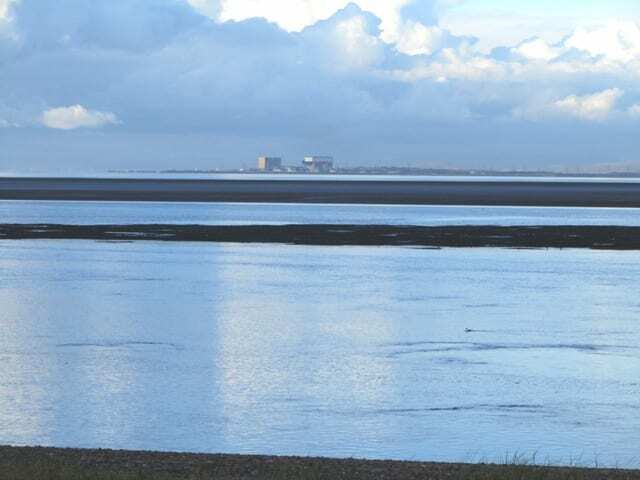 In this clip you can just make out the hills around Barrow, then the power station at Heysham comes into view. The clip ends at Fleetwood RNLI with Knott End in the background. 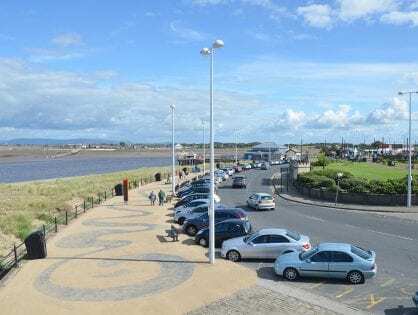 Literally just across the River Wyre from Ferry Beach, behind Fleetwood RNLI station you can see Knott End and the slipway. It’s just a short ferry ride across the water, or a much longer drive through pretty countryside. 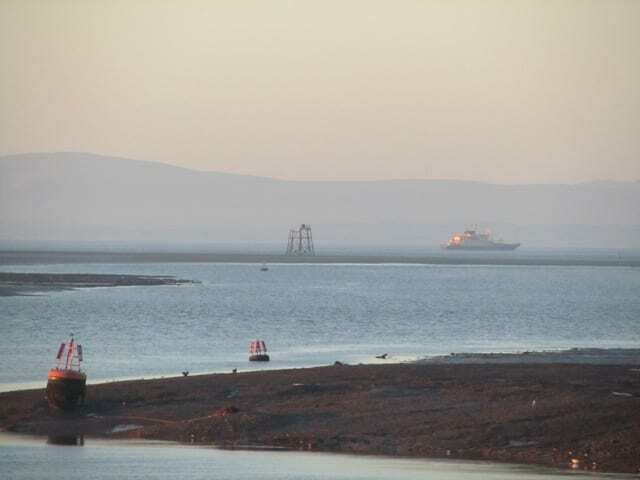 View of Knott End and the Ferry across the water, seen from Fleetwood Museum. 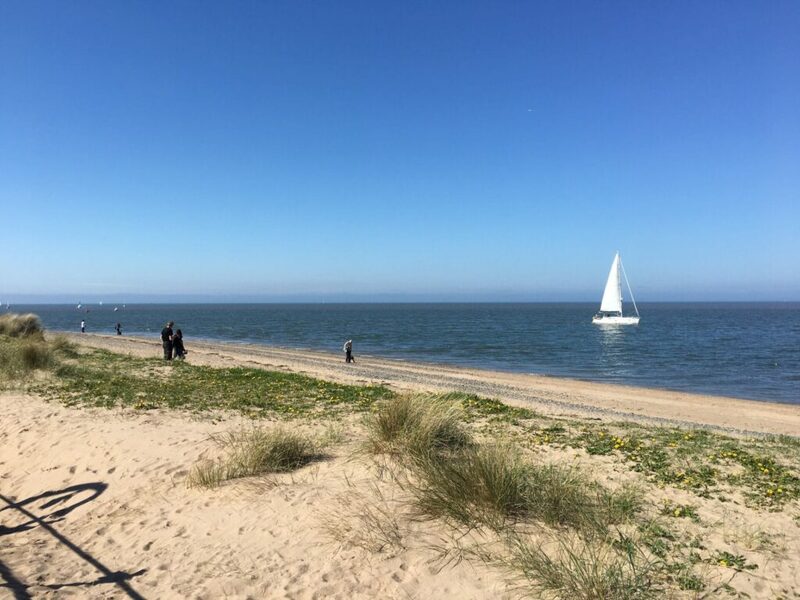 If you’re lucky, you might happen across the sight of the local flying club, gathering on the beach at Pilling Sands for their annual fly in. Turning left, the next clear landmark on the hills is a patch of white buildings with a tower, which is Lancaster University. 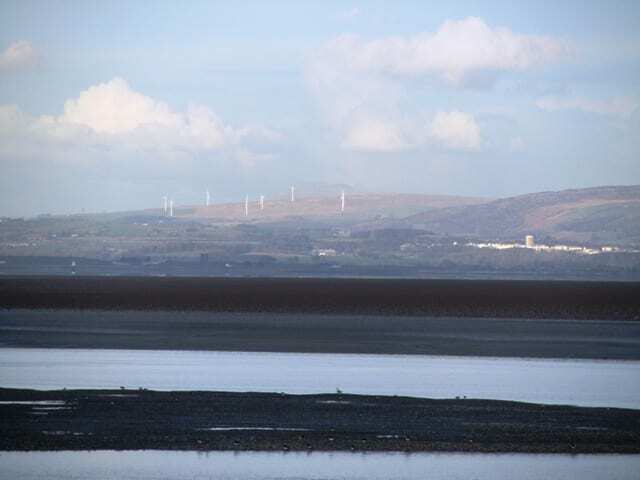 There’s a windfarm clearly visible on the hills as you follow the line of the landscape through the Lake District, Grange over Sands and Ulverston. Still in Lancaster, on a very clear day you can see Ashton Memorial in Williamson Park (the left hand, domed building below) and Lancaster Castle. They’re the two stone buildings visible in the next photo. 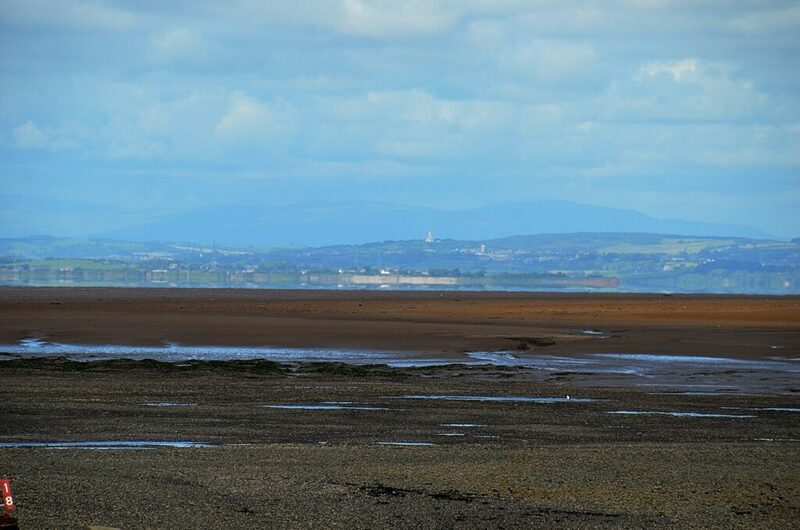 You can’t actually see Morecambe from Fleetwood because it’s tucked into the coastline in its own bay. 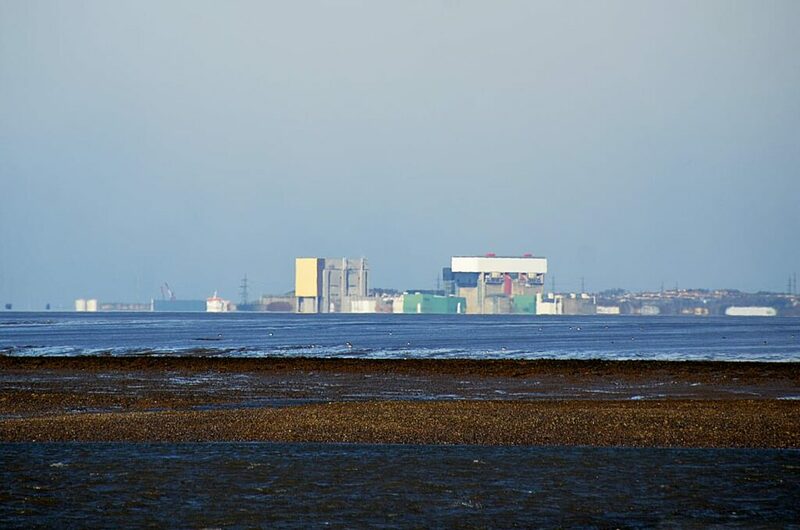 But you can clearly see the power station at Heysham, standing tall and clear as two white buildings. 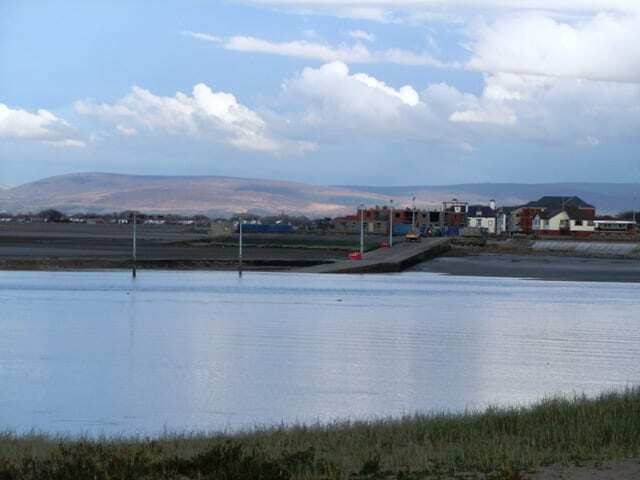 Barrow in Furness and Walney Island are at the end of the landmass in the view over the water from Fleetwood. The shipyards are the big buildings that you can see at Barrow. It’s where they build the nuclear submarines at BAE. 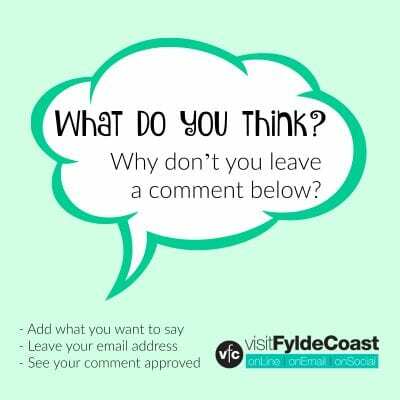 Did you know that there’s a seal colony on Walney Island? 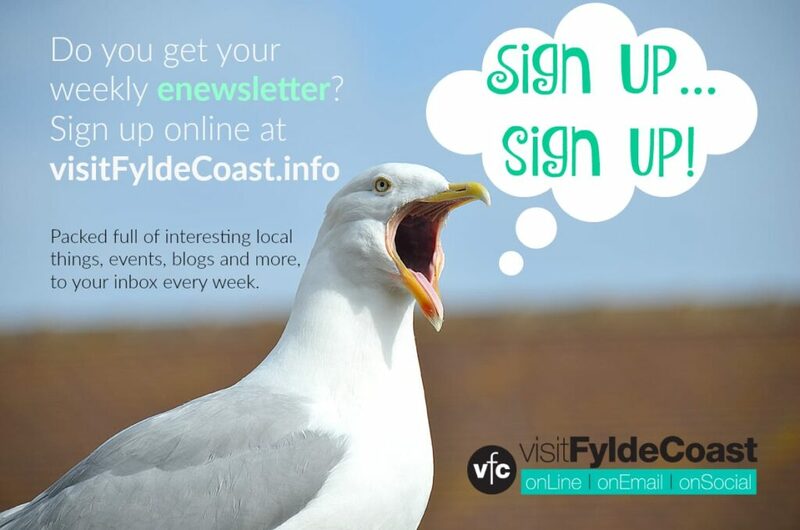 That’s where the beautiful visitors come from that we often see here on the Fylde Coast. 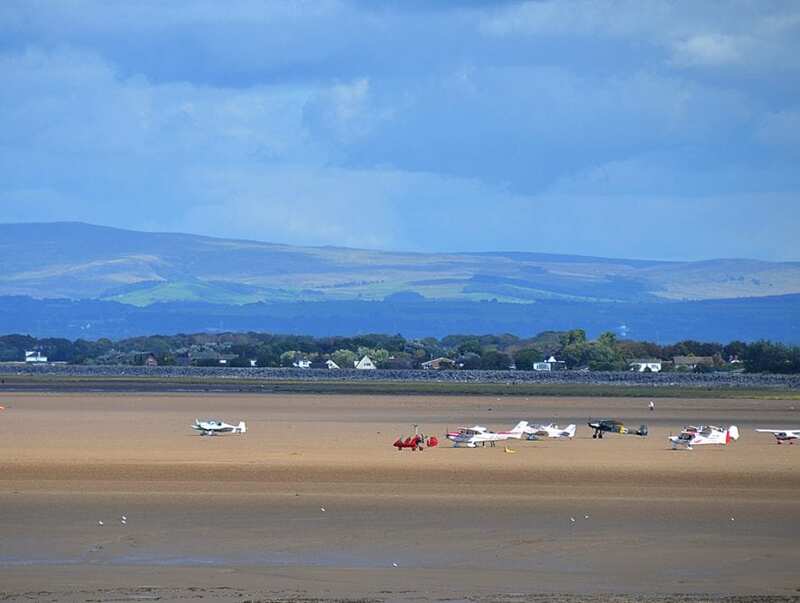 When the tide goes out the channel to the docks is more clearly defined as it winds through the sand banks and vast expanse of Morecambe bay. Marked with buoys and markers it’s a dangerous channel for boats to navigate and certainly an area to avoid on foot. Don’t be lured by the seemingly large areas of sand, they cover extremely quickly when the tide comes in and you won’t outrun it. You can also see the remains of the Wyre Light in the bay. 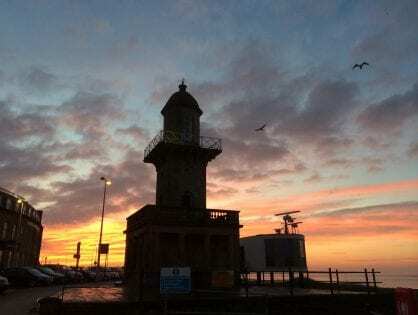 It’s one of three lighthouses in Fleetwood, and when it was functioning worked in tandem with the two on shore. By lining the three lights up, sailors could safely navigate their way into port. 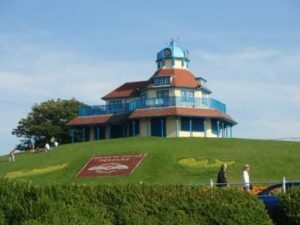 Have you seen Fleetwood’s new landmark? There’s a big shingle bank forming out in the bay, and when we say big it’s turning into an island! 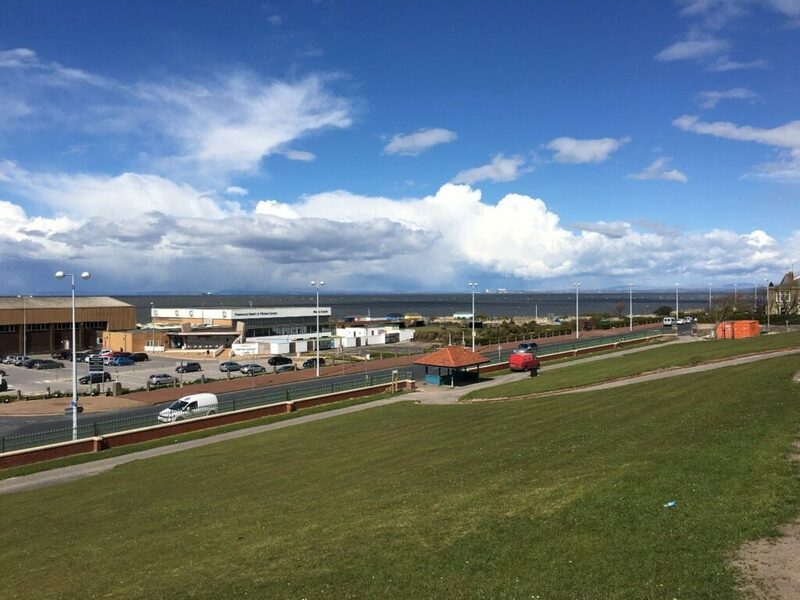 You’ll be able to see it most clearly from Marine Beach at the back of Marine Hall. It’s very clear at low tide, and it’s getting so big that the top of it is even dry at high tide. 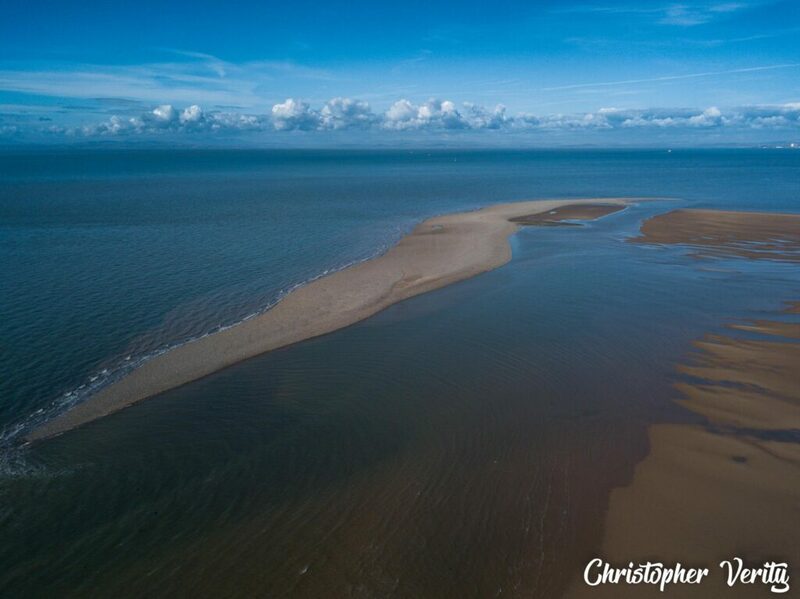 Thanks to Christopher Verity for this aerial view. PLEASE DO NOT ATTEMPT TO WALK OUT TO IT!! 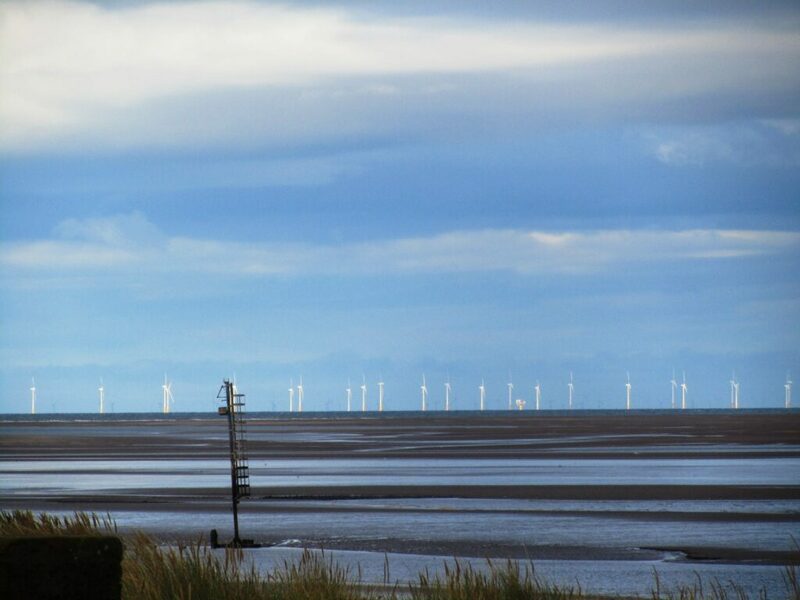 As you drive towards Cleveleys, the offshore windfarms off Barrow and Walney Island come clearly into view. 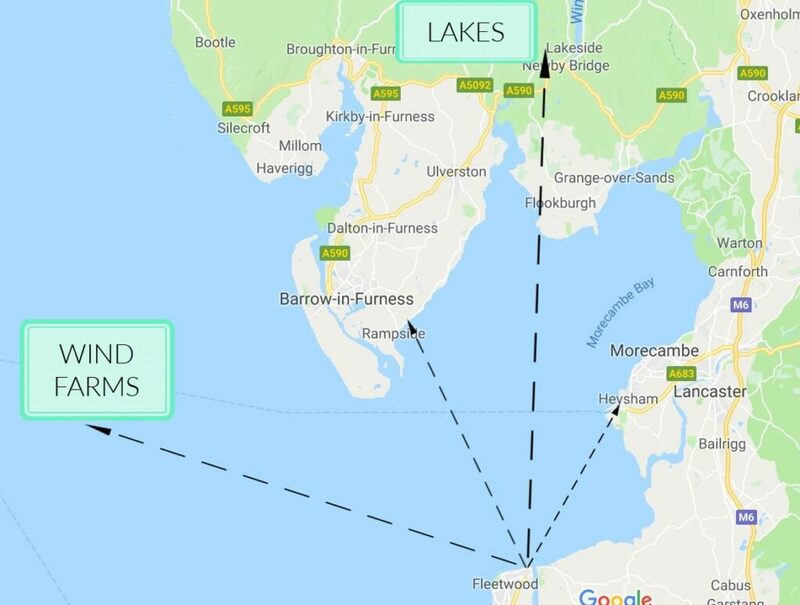 What you can see of them changes quite dramatically as you head off around the peninsula at Fleetwood, turning first west and then heading south. First they are individual turbines, then they all line up as if stacked, then they appear to spread out again. Obviously it’s you changing your angle of view, but it shows how the shoreline changes shape. It’s great that the Fylde Coast is so flat. The only downside is that you don’t get the same dramatic coastal views that you get in places with cliffs! Of course you’d great a great view over the water from any of the upstairs windows of the buildings that line the seafront. That’s not entirely practical, but there are a couple of places where you can get a bit higher to see even more. One is the top of Lower Lighthouse on The Esplanade. It’s only open once a year, on Heritage weekends, but the view from the top is great! The other place where you can get a great view at any time is from the top of The Mount. The walk to the top of the hill is well worth it for the view that you get!  See right over Morecambe Bay and everything we’ve included in this article. 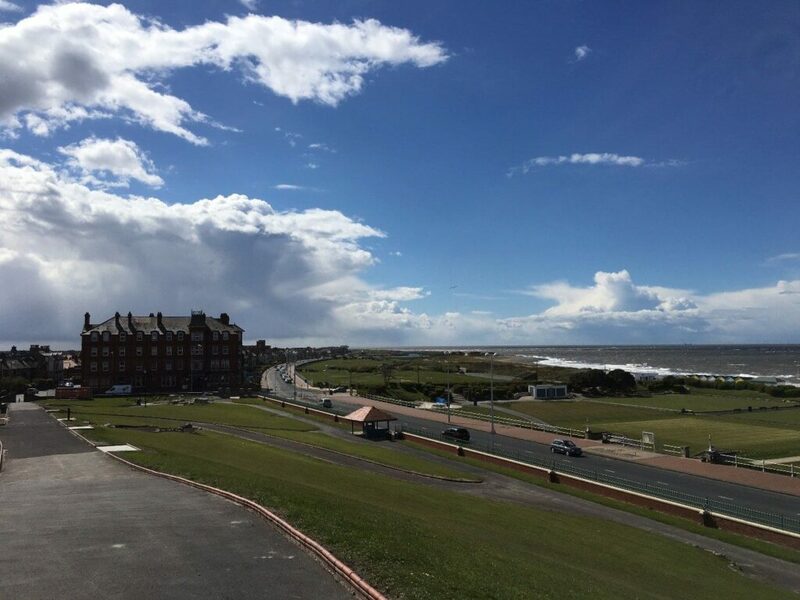 You can also see all of Fleetwood seafront too. Oh, and The Mount also opens on Heritage Open Days in September, so you can go even higher should you want to! 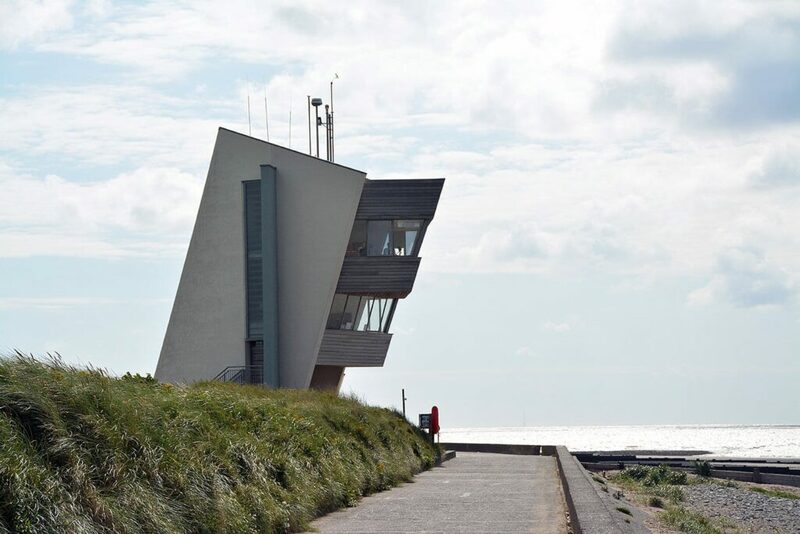 A little off the beaten track is Rossall Coastwatch Tower. It’s open most days and the view from the top is amazing. It’s free entry too – although there are quite a few stairs to the top and no disabled access. 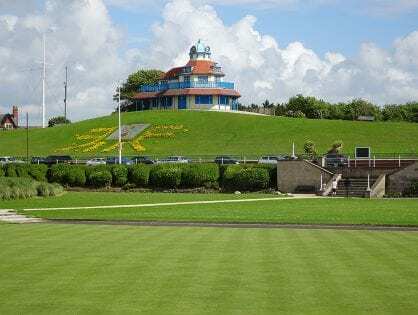 Find it near to the Sea Cadets base, just off the promenade.